Upper-canopy tree up to 50 m tall and 47 cm dbh. Stipules absent. Leaves alternate, simple, penni-veined. Flowers with ca. 24 mm long, very narrow petals, white-yellow, fragrant, placed on the twigs. Fruitlets ca. 27 mm long, red, fleshy with red pulp, dehiscent, placed in an apocarp. In undisturbed forests up to 500 m altitude, but frequently also in secondary forests, probably as a pre-disturbance remnant. 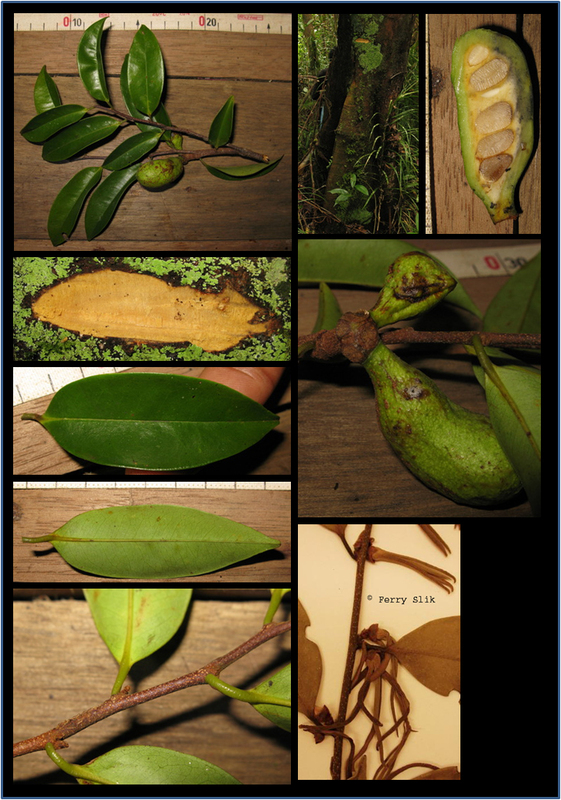 Mostly in mixed dipterocarp forest, but also found in Keranga forest. Usually on sandy loam soils and clay, occasionally also on limestone. Mostly on hillsides and ridges, but also on alluvial sites. Thailand, Peninsular Malaysia, Sumatra, Borneo (Sarawak, Sabah, West-, Central- and East-Kalimantan).